The CCD is made by IMAGINGSOURCE Germany. The operation software and the anylize software in English are included. 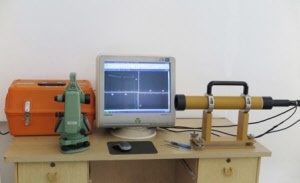 he digital collimator tube is the upgrade of the optical collimator tube, it can replace the optical collimator tube. 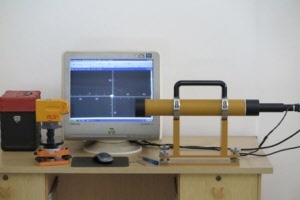 It can output the images of the laser line/point in the reticle on the computer. Then we can display,store and analyze the images. View the laser line/point on the computer display, the laser’s exposure and hurt to the abserver will be avoided. 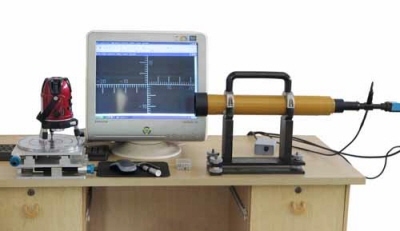 The digital collimator tubes can be assembled together to fullfil the calibration the laser instruments and optical instruments, such as rotary laser level,multi-line laser, laser plummet,autolevel, theodolite and total station.